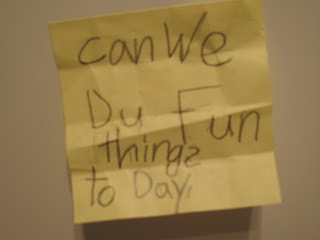 We are in the final stretch of our first full 'academic' year of learning at home and I am deciding whether or not to re-enroll G. with SelfDesign for next year or to try out our local school in Horsefly. My main reason for considering the school is for G. to meet some other children in our new neighbourhood, which may be slightly harder than our current neighbourhood where she can walk out the door and find a wide variety of playmates. "Rousseau (Jean- Jacques) insisted that children were - contrary to the Christian doctrine of original sin - good in the most basic sense of the word; the job of educators was to help them develop "naturally" or in accordance with their "natures." Rousseau's educational treatise 'Emile' espoused limited academic work prior to age twelve and plenty of physical activity, play and games for children out-of-doors. Young people, the book suggested, should pursue their education in the world of nature and not in texts or schools. Only after age 15 does Emile, the book's hero begin to pursue academic training in ethics, religion and history. 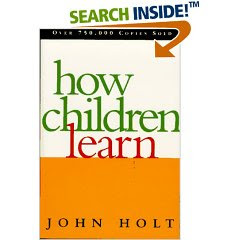 Even then, the bulk of his learning arises out of his experiences in the world. According to Rousseau, a child should be educated not merely for future employment but as a human being, with senses fully alive and independence of thought fully developed, with nature as the ground of his learning and his education gently cultivated by thoughtful and sensitive adults. 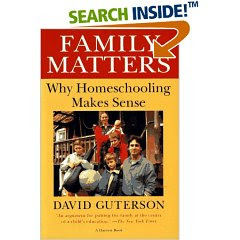 The notion is one to which, more than two centuries later, many homeschoolers still subscribe." "Birds fly, fish swim, man thinks and learns. Therefore, we do not need to motivate children into learning by wheedling, bribing or bullying. We do not need to keep picking away at their minds to make sure they are learning. What we need to do, and all we need to do, is bring as much of the world as we can... into their lives; give children as much help and guidance as they ask for; listen respectfully when they feel like talking; and then get out of the way. We can trust them to do the rest." Okay...makes sense to me. We spent the rest of the afternoon tracking down, catching and releasing moths, looking up what moths eat and why and picking buttercups to make bookmarks with. Hmmm...maybe we will re-enroll. That's my kind of writing practice...it is writing with a purpose. ;-) Looks like G has it all figured out. Good post, Joanne, love the quotes.